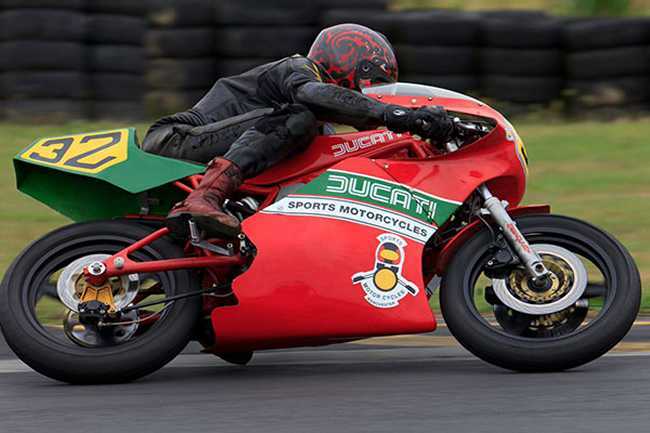 39 years since the legendary Mike Hailwood won the Formula One TT, the iconic Sports Motorcycles Ducati team are set to return to the Isle of Man in August this year where they will contest the Classic TT Races presented by Bennetts with Chris Swallow. Guided by the skilful hand of Steve Wynne, Mike’s spectacular achievement - 11 years after his last race in 1967 - is firmly stamped into the ledger of motorcycle racing history and although Wynne is now enjoying his well-earned retirement, a fortunate quirk of fate has sparked an exciting new era in the team’s history. 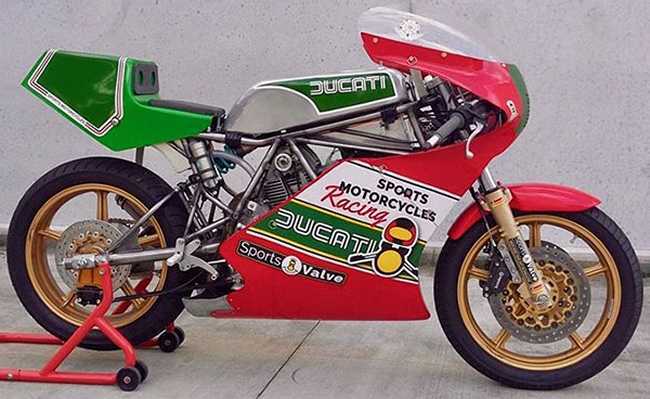 His long-time friend and engineer from Yorkshire, Glyn Robinson is now carrying the Sports Motorcycles baton and producing a whole series of very special parts for the classic 1980’s Ducati race scene, even as far as creating whole factory replica bikes of the day. As was always the case at Sports Motorcycles in Manchester, racing is still central to the proceedings. The team are currently enjoying tremendous success in the Antipodean regions but have recently cast their sights on maintaining important historical matters - the Isle of Man. As a result, Sports Motorcycles Ducati will return to the Isle of Man in 2017 where they will contest the Dunlop Lightweight Classic TT Race on a newly built 750cc TT1 with another Yorkshireman, Chris Swallow, in the saddle. His pedigree at the island – which includes two podiums at the Classic Manx Grand Prix races and fifth in the 2015 Bennetts Senior Classic TT Race - on a raft of historic single cylinder machinery is proven, and he has also competed very successfully on Glyn’s Sports Motorcycles Ducati 600 TT2 in NZ for the previous four years. Chris is now looking forward to the opportunity to prove himself on the mountain course on a 750cc twin. The Sports Motorcycles-entered Ducati TT1 is built from scratch entirely in house having a host of special parts which are all manufactured in their own machine shop using a wide range of CNC production equipment. These include Marzocchi replica 41mm magnesium forks and adjustable yokes, brake discs, footrests and controls, dry clutch assembly and housing, rear spindle clamp assembly and caliper carriers. The frame itself, swing arm, exhaust system and fuel tank are also hand crafted by Glyn. The sight and sound of a Ducati twin wearing the distinctive Sports Motorcycles Ducati colours on the island will surely evoke some memories of that magical moment in 1978.